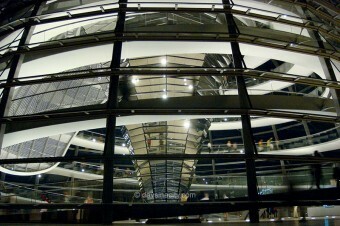 Get in line early for a visit to the top of the Reichstag dome. The line may by long but with good reason, it’s a fantastic and free way to enjoy great views over the city, as well as see the dome’s incredible architecture up close (be sure to register online beforehand). A short walk from here is Berlin’s most iconic landmark, the Brandenburg Gate, and just around the corner is the unusual and controversial Holocaust Monument which is sure to stir some thought and possibly confusion. Next, wander down Friedrichsstraße to Checkpoint Charlie and it’s museum to learn about the difficultly of crossing from the East to West side whilst the Berlin Wall divided the city. In the evening head over to Potsdamer Platz, one of the most popular and ultra-modern squares in the city. Check out the nearby Sony Center with its great restaurants & bars. 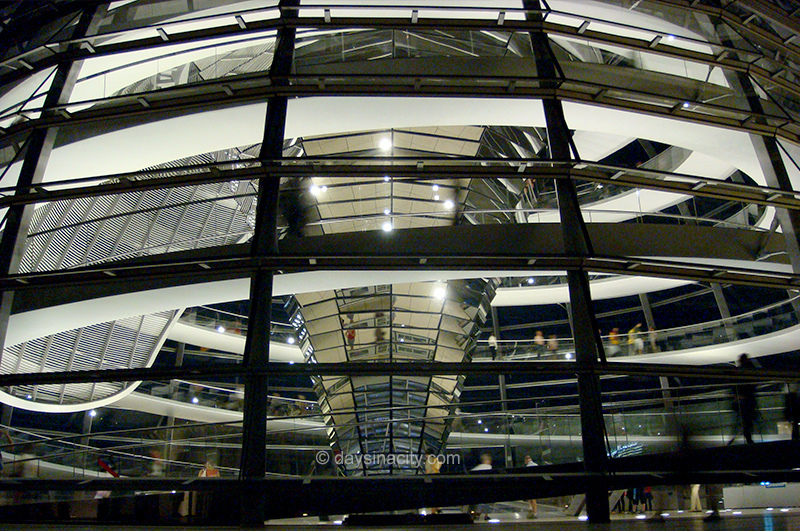 You can see the Fernsehturm (TV Tower) all over the city so you can imagine the views from the top are pretty spectacular, especially worthwhile if you weren’t able to go up to the Reichstag dome. Nearby is the Rathaus which you can ice skate in front of in the winter. Check out Alexanderplatz too (get a mobile wurst, or a curry wurst). 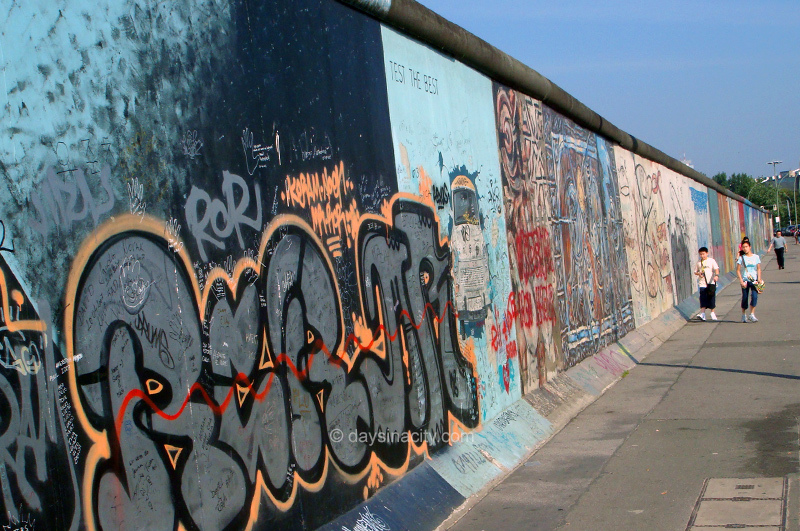 Make your way over to the East Side Gallery which is a stretch of the Berlin Wall along the river with many fantastic works of art on it. Also nearby is Treptower park where there are huge soviet monuments. Its pretty cool to be surrounded by them and imagine what life was like in the east. In the afternoon & into the evening, a wander through the main area of Kreuzberg will take you back in time to the East. Its also a funky part of town & you can access it from the East Side Gallery. Follow the Globetrotters itinerary for Days 1-2. If you want to visit a palace, head out west to visit the Charlottenburg Schloß & it’s gardens which could fill the majority of your morning. Afterwards stroll down Kurfurstendam straße which has all the high street shopping. Along here is also The Story of Berlin (Berliner Museum), an eye opening museum where the highlight is a guided tour through a nuclear bomb shelter from the Cold War. 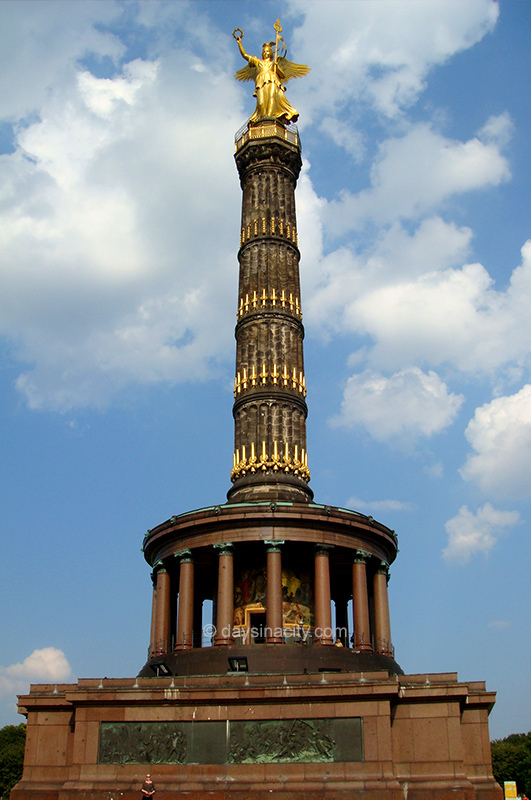 In the afternoon, make your way back to the city via a walk through Tiergarten, perhaps stopping via the Berlin Zoo and Victory Column along the way. In the evening, consider heading to Berln’s oldest beer garden, Prater Garden. Follow the Vacationers itinerary for Days 1-3. How many days do you think visitors should spend in Berlin?